ContactsForLess.ca stocks monthly contact lenses from leading manufacturers, including Johnson & Johnson, Alcon, CooperVision, Bausch and Lomb. Monthly disposable contacts, also known as “monthlies” are worn daily for a month, and then replaced. Monthlies offer a good value alternative to the more expensive daily disposables, and are great for people who wear their lenses regularly. 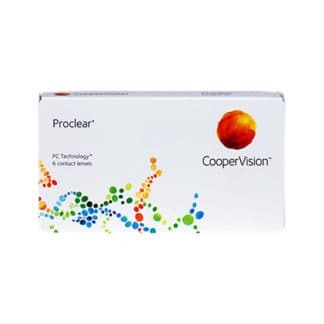 We have monthly disposables for near and far sightedness, presbyopia, astigmatism and coloured lenses for cosmetic use, from all the top brands including Air Optix Aqua, Air Optix Colors, Biofinity, Clariti and FreshLook Colorblends. Order your contact lenses from ContactsForLess.ca today, for the same products you’d get from your high street optician at fantastic prices.